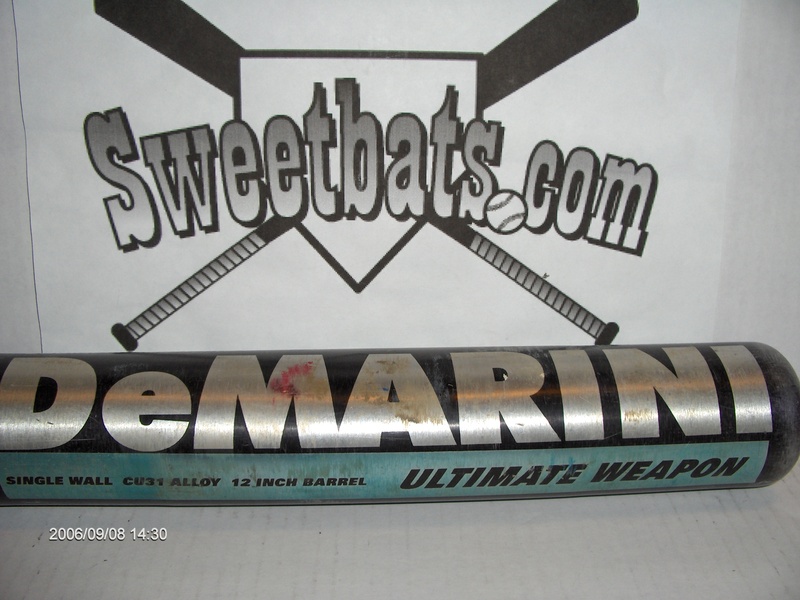 You read it right: 1994 Demarini bat! 1994 Demarini Ultimate Weapon slowpitch bat. "Single wall", "CU31 Alloy" and "12 inch barrel" all on graphics. No warranties on used bats, especially one with a crack on the barell!